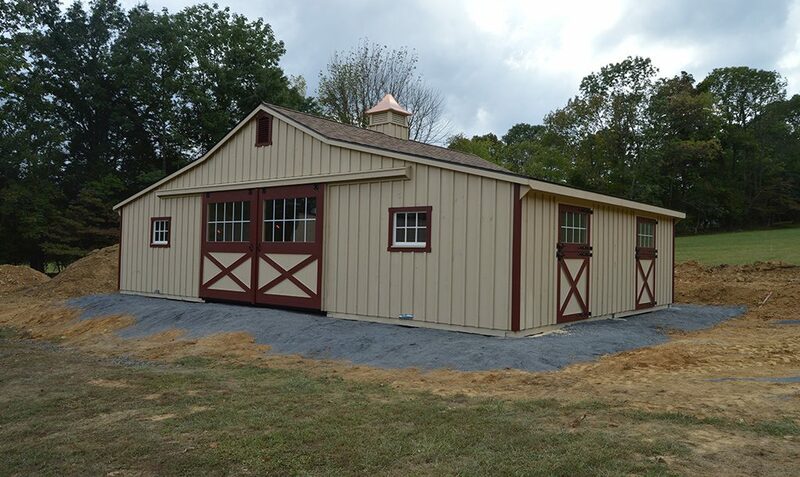 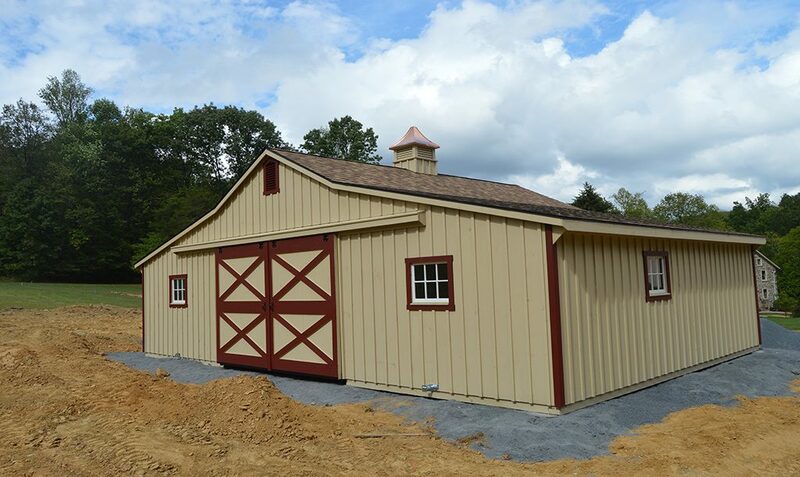 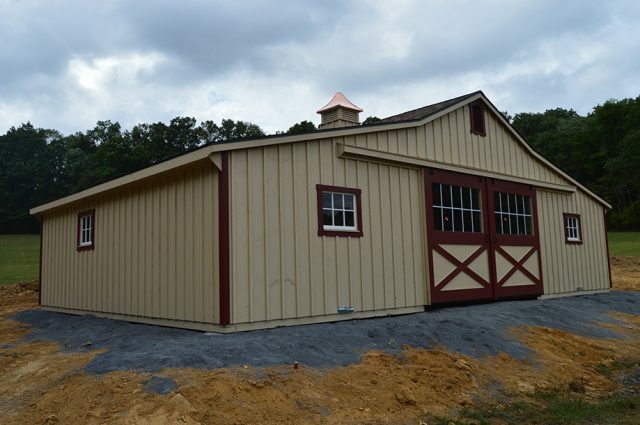 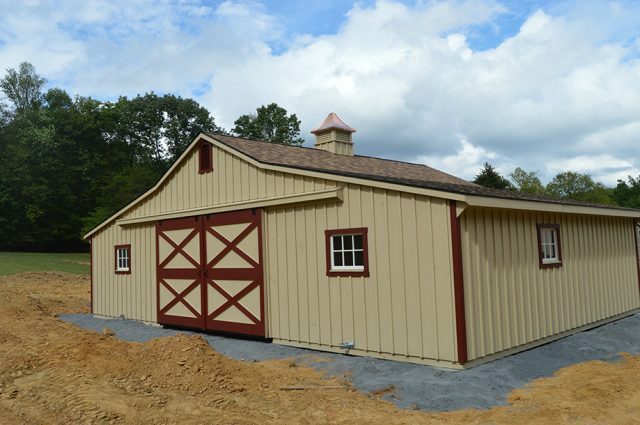 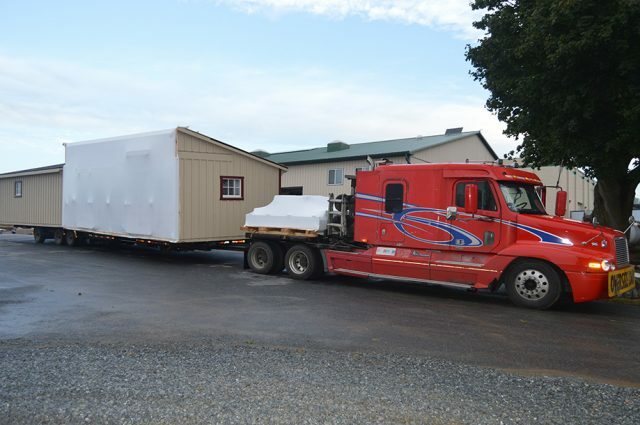 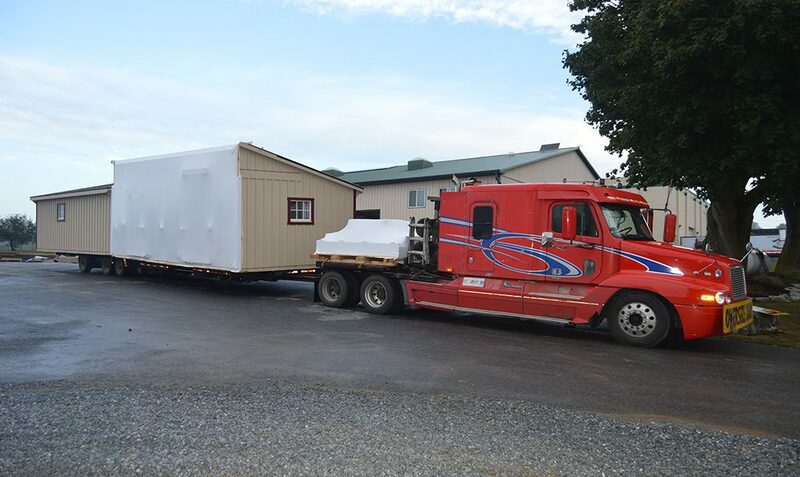 Our Quakertwon, PA client loves their 36′ x 24′ Trailside style barn! 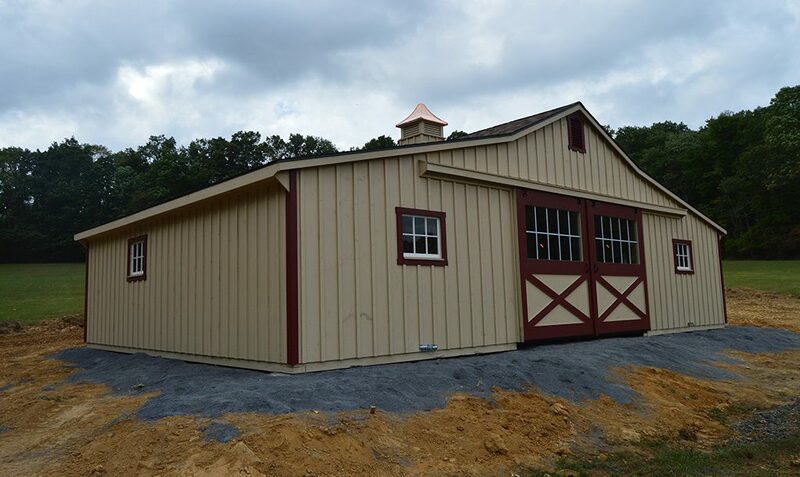 This build is complete with 2 stalls, a storage room, and a tackroom. 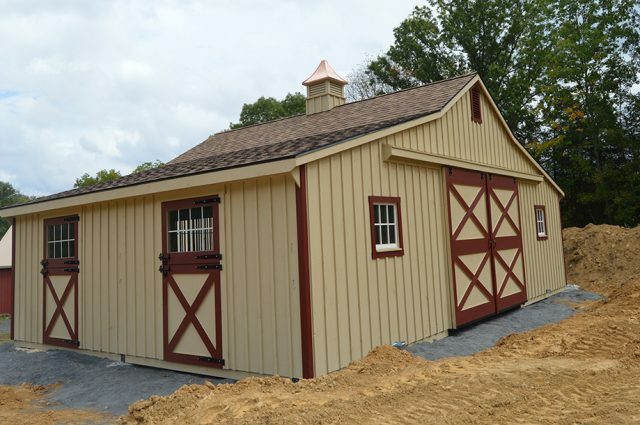 Tan paint with red window and door trim are just a few of the customized options that were chosen for this structure. 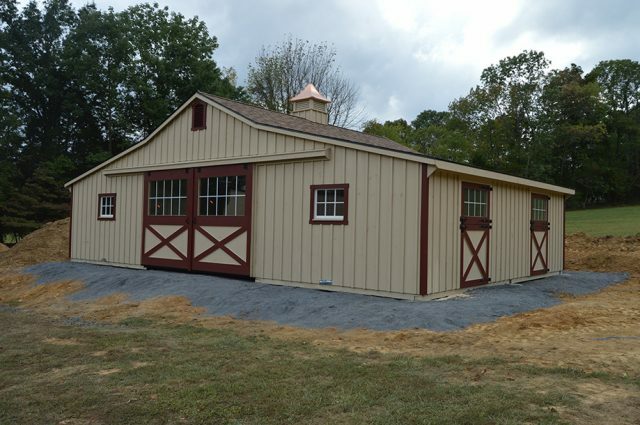 It also has windows in the front aisle doors along with windows in the front and rear of the building and 2 dutch style doors with windows. 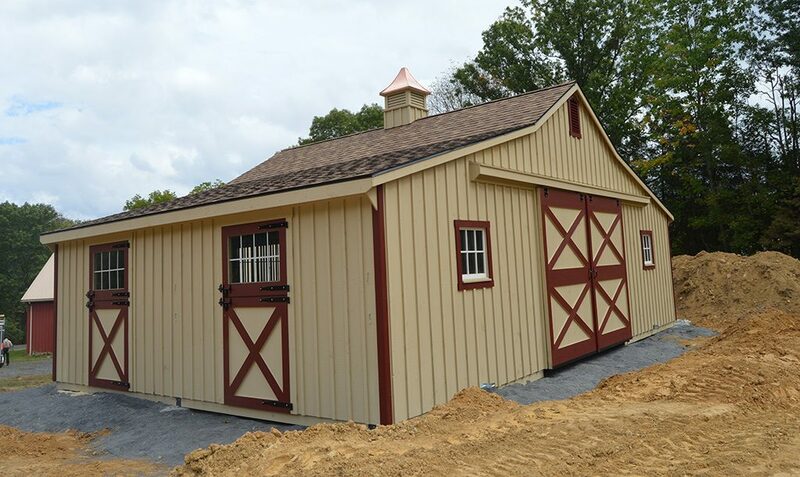 In addition, there are gable vents and a 24″ cupola.